Houston Police have arrested a caregiver they say was caught on video hitting the elderly woman she was supposed to be caring for. 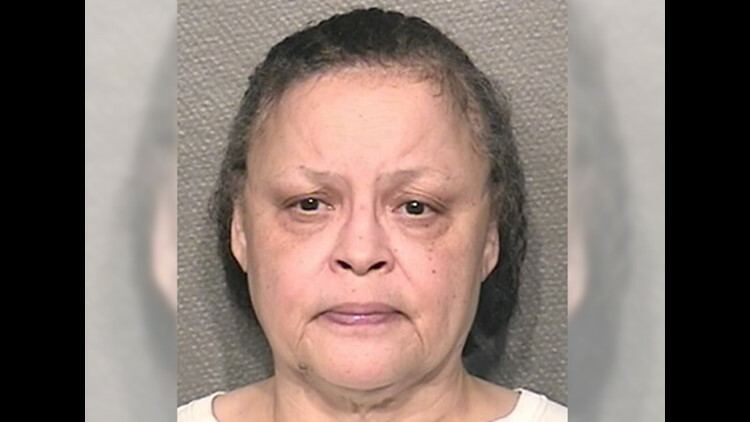 HOUSTON – Houston Police have arrested a caregiver they say was caught on video hitting the elderly woman she was supposed to be caring for. Earlier this week Memorial Village Police said Brenda Floyd was wanted for assault with bodily injury on the elderly/disabled. The disturbing video, recorded earlier this month, showed Floyd repeatedly hitting a 94-year-old Alzheimer's patient. Police confirm Floyd was booked Friday morning after her arrest in the 7200 block of Fulton in north Houston, not far from Crosstimbers and I-45. A nearby resident recognized Floyd from media reports, and her location was tipped off to police. The victim, Dorothy Bratten, can't speak for herself, so family members concerned about bruises on her body set up a webcam in her living room. The alleged abuse was caught on video the very next day, police say. Police say Floyd was supposed to be helping Bratten at her west side home, but Floyd became upset after seeing the victim feeding her dog "people food." "Why you feed that dog human food!" she yells in the video. Floyd can then be seen striking the victim numerous times on her side as well as to the back of her head. After releasing the disturbing video in an effort to track down the suspect, police say they received dozens of tips and calls. "We have had people calling from across the state who know Ms. Floyd and have had contact with her," said Memorial Villages Assistant Police Chief Ray Schultz. "The story has obviously gone viral. We have received inquiries from as far away as the United Kingdom." If convicted, Floyd could face anywhere from two to 20 years in prison.